A recent article written by Minneapolis Star Tribune writer Michael Russo suggests that some panic buttons are being pushed. Russo commented on sloppy mistakes in terms of physical battles, defensive zone coverage and line changes. He slammed Minnesota’s fragility at the defensive end of the ice and suggested that the scoring depth issues needed to be resolved, and quickly. He was quick to point out that the Wild have already played 10% of their games in the 2013 NHL season. However, while there are definitely some concerns that this team needs to address, and soon, this is no time to panic for the Minnesota Wild. One of the bigger concerns raised about the Wild during training camp was the issue of depth scoring after head coach Mike Yeo immediately put his top three offensive players; Mikko Koivu, Dany Heatley and Zach Parise together. That group has immediately produced, especially Parise who has racked up nine points in five games. In fact, the ‘big three’ have scored 10 of the Minnesota Wild’s 13 goals through the first five games, and two of those other goals came in the team’s best offensive effort, a 4-2 win against the Colorado Avalanche in the season opener. That top line is clicking and there are greater depth concerns, particularly in terms of balance. The team’s second line from the most recent game against the St Louis Blues featured Pierre-Marc Bouchard, Mikael Granlund and Devin Setoguchi lacked size and got pushed around in that game. However, the current problems extend beyond team imbalance and should be resolved easily enough. Setoguchi has just one assist in five games, he should improve after scoring 19+ goals in each of the last four seasons. Kyle Brodziak scored 22 goals and 44 points last season, but has just one assist so far as well. Cal Clutterbuck has just one assist and will improve after scoring 15+ goals in each of the last two seasons. Matt Cullen has been a reliable 35-40 point scorer, but he has just one assist as well. The concerns over 20-year old Granlund may be more genuine after he played less than 12 minutes against the Blues. Granlund has been tested in some tough games recently and the ice time in this game might be the first sign that there some doubts over his ability to cope physically in the NHL. The fact is that there is a lot more to come from the Minnesota Wild’s second and third lines, and they should at least maintain, if not pick up on their current 2.60 goals per game rate. It wouldn’t be a surprise to see Yeo mix up his lines, but the Minnesota Wild should finish the 2013 NHL season with at least a middle-ranking offense. A potentially bigger concern is the simple mistakes that this team has been making. Yeo and his coaching staff must resolve those problems immediately. Goals have been conceded based on poor line changes, defensive breakdowns and generally being outmuscled, and physically outplayed in their own end. The Minnesota Wild have given away their last two games based on simple mistakes, and that is a problem that they need to address and soon. On the bright side, Minnesota have made it a 2-2-1 record despite arguably their best player struggling. Ryan Suter is seeing 27:44 minutes of ice time per game, the fourth highest in the league, but he hasn’t quite settled in with his new club yet. Suter is a -5 across the five games and has had some serious problems in terms of being beaten to the net, losing battles in front, and committing uncharacteristic defensive lapses. Still, Suter has spent the first seven seasons of his career pretty much exclusively playing alongside Shea Weber and in Barry Trotz’s system. The fact is that he has an unquestionable skill set, and he will turn this around as he becomes acquainted with his new surroundings. 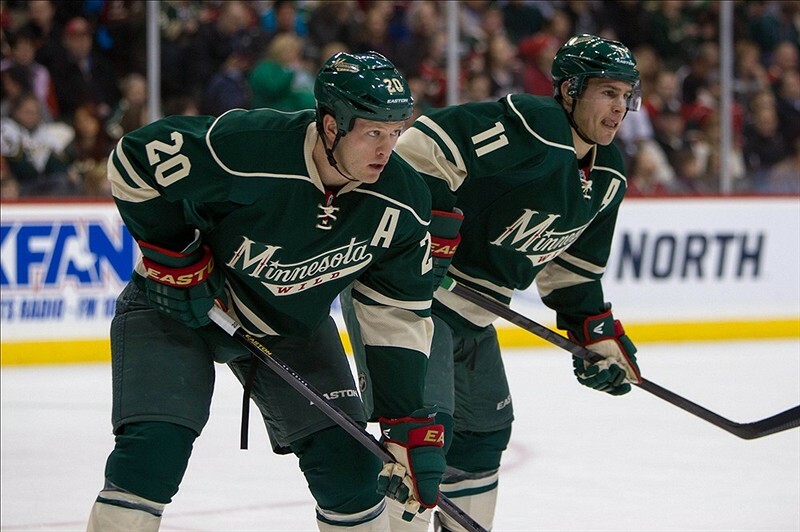 The 2013 edition of the Minnesota Wild cannot be judged until Suter is playing to the standard expected of him. Once Suter is playing 25 minutes per night of quality ice time per night, the rest of this team should come together. An important starting point is tonight as Ryan Suter and the Minnesota Wild prepare to take on the Columbus Blue Jackets tonight, and then the high-powered Chicago Blackhawks on Wednesday night. It’s important that this team doesn’t panic yet in a young 2013 NHL season.